At Tree Designs we offer a range of arboricultural services to the general public, small and large businesses and state run organisations. 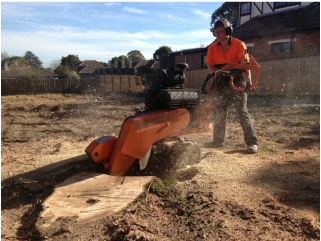 We also offer services to other arboricultural companies throughout Australia. The installation of cables in trees to improve the structure of a tree is often a requirement in the management of older trees. We can provide this service with the best advice according to the situation. we only use rated equipment during the installation to provide the safest situation. We can help prevent possums grazing and destroying your trees through the use of polycarbonate plastic, and adequate canopy clearance pruning. Whether you require a tree report from the council for pruning or removal, or you seek to manage the risk associated with your trees, Tree Designs can help. 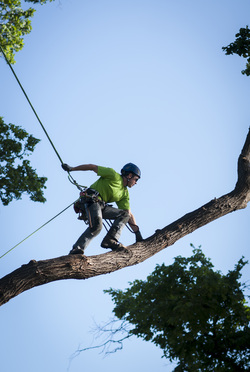 We have experienced arborists to give the right advice for your trees. We can also arrange tree surveys for schools, councils and other bodies. After the tree work is complete Tree Designs will dispose of the wood, branches and debris through the use of their truck and chipper. All clients have the option to keep their mulch for their garden. We also sell and deliver mulch. Please contact Tree Designs for enquiries on mulch sales. Tree Designs offers the service of a complete clean up which includes spitting and stacking all the wood from the job ready for a cold winters night. With the use of the 8 Series Kanga, no job is inaccessible. The tracked machine can get almost anywhere and with the log grab we can pick up huge logs and transport piles of foliage. We also use the machine to directly load the chipper. With multiple attachments we can use the machine for a variety of jobs not just related to the tree industry. 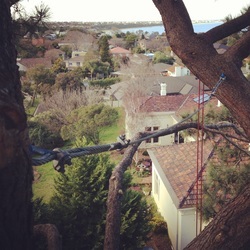 Tree Designs offers the experience of qualified climbers to multiple companies throughout Australia. If you own a business with need of an experienced climber please contact us for further details.